Nestled deep in the heart of the Selkirk Mountains of British Columbia, Canada is Great Northern Snow-Cat Skiing. 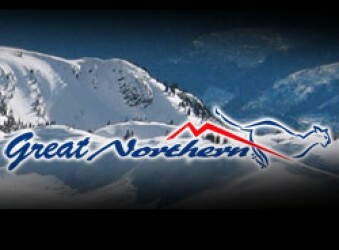 Established in 1979, Great Northern has more than 29 years experience providing quality deep powder skiing and exciting mountain adventure vacations. The Selkirk Mountain Range, just west of the legendary Bugaboos, is world renowned for helicopter and snowcat skiing. Endless miles of open bowls and steep and deep trees combined with an average 1500cm (600 inches) of snowfall per year, gives Great Northern access to some of the finest powder skiing anywhere. At the end of a deep powder day, the natural beauty of pristine mountains is complimented by the warm ambience and the cozy comforts of a private lodge. Located approximately 1.5 hrs south of Revelstoke, near the town of Trout Lake, British Columbia. Skiing takes place in the Badshot Range of the Selkirk Mountains.